Many food lovers tend to shy away from the word calorie. Calories are seen as the spoilsports in the otherwise fun world of food and dining, and they can nag at the conscience like a guilty secret just when people want to enjoy themselves. Talk of low calorie food spells ‘diet’ for many. It provokes thoughts of doing without favourite meals which would not be part of low calorie recipes and cutting back on food treats. But this is not the case. Even for those who are on a diet and turn to low calorie food in order to lose weight, the healthier alternatives could hold many delicious surprises. The fact is that everyone has to consume calories, in differing amounts, in order to live. But you don't need to be on a diet in order to benefit from at least a passing acquaintance with the calorie content and how it can be used for a balanced, healthy diet. This can be achieved without any sacrifice at all to individual taste, quality or variety of meals. 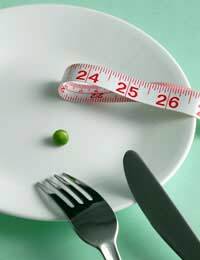 There are also many benefits to a low calorie diet, including weight loss if you are out to lose weight. Those who assume that calorie counting is strictly for people bent on weight loss should think again. True, everyone needs to keep an eye on how many calories are consumed in order to maintain optimum nutritional health . However, nobody wants to become obsessed by the whole subject of diet and to bore themselves and others with constant reference to calorie values. The aim should be to get into the habit of healthy eating, and to grasp the simple basics so that they can be applied easily to the weekly supermarket shop, or to the ingredients in a recipe, or to the menu in a restaurant. With practice, it will take just a glance at food assembled on a plate to know how balanced it is nutritionally and if it is breaking the calorie bank. Before long there will be no thought of calorie calculations when planning healthy eating. It will become as automatic as driving and reading the road signs; and the low calorie convert will have achieved the kind of lifestyle that is more likely to keep him or her and the family healthy in the years ahead. Eating in this way may mean you never have to go on a diet. For those making a first foray into the world of low calorie food, there is no better time to be looking to make changes. Never before has the public had such easy access to food information of all kinds, to such an enormous range of produce and ingredients in the shops and to amazing pieces of time-saving equipment. It is true that more family members are working these days; and when people are tired and in a rush the temptation to grab a ready-made meal, or to eat more fast food than is good for us, is understandable. Yet if they are willing to make an effort upfront to take stock of what their diet looks like now,and what they are cooking, and are ready to do a little reorganisation, it could pay dividends in a matter of weeks. Getting to grips with change does mean giving up some valuable time to begin with; but when everything falls into place the reward will be the real benefits of healthier food and more energy.